Out with the old, in with the new, well eventually anyway. As part of the Master Plan at California State University, Dominguez Hills, the Small College Complex will soon be demolished in order for new buildings to be built. All programs and classrooms occupying the SCC will be moved to other parts of the campus. Most of the occupants of SCC will be moved to the library. The third and fourth floors are being renovated to accommodate office spaces. The programs that do not move to the library will be going to Welch Hall, SAC, the Student Health Center, or be given a temporary building, according to Naomi Goodwin, vice president of administration and finance at the Space Mitigation Town Hall. The space provided to most of these programs is supposed to be relatively the same as they have now. The only difference is the location. Sgt. 1st Class Francisco Delgado at ROTC says that his main concern is location, which is very important to his program. “We’re in a prime location now,” said Delgado, referring to their current location. The current position of ROTC is in front of the north lawn where they get a lot of student traffic, which helps with recruitment. They will be moved near the gym where they will get less traffic. Delgado says that they are also hoping to receive more storage equipment. Megan Tagle Adams, director of the Women’s Resource Center, is also concerned about the new location of her program. However, Tagle Adams worries about privacy. 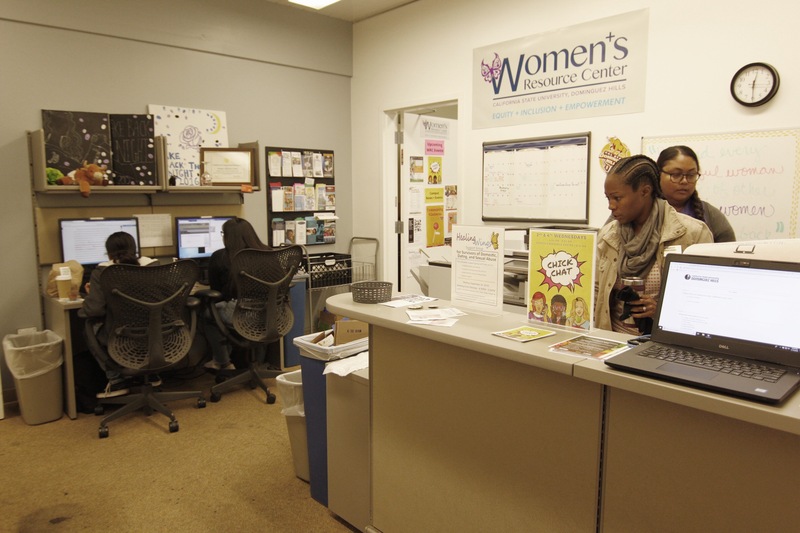 The Women’s Resource Center interacts with students who are sometimes dealing with “sensitive information that needs private space” says Tagle Adams. She worries that without private space, students won’t feel like they have a safe place. However, Tagle Adams says their new position in the library could have the potential to attract people who wouldn’t normally have come in. This move is scheduled to take place over one weekend, April 5 to 7. Facilities Services is working to try and get professional movers to assist programs with this process. The university is searching for alternative spaces for students to study. One idea presented at the Space Mitigation Town Hall was to close Café 1910 in the afternoons and convert the space into a study area. There is much uncertainty going into these moves. While programs have been notified that they will be moving and given a tentative date, they are unsure what benefits and problems the new spaces may hold once they get there. They are also concerned about how “temporary” these spaces will actually be.